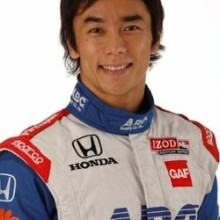 Japanese open-wheel standout Takuma Sato, who earned his first IZOD IndyCar Series victory when he guided the legendary A.J. Foyt’s #14 ABC Supply/A.J. Foyt Enterprises Dallara-Honda DW12 to the checkered flag on the streets of downtown Long Beach, Calif., is the latest top-line driver to lend his time as an Online Driving Instructor. Post your questions now through August 4. Answers will be posted daily from August 5. 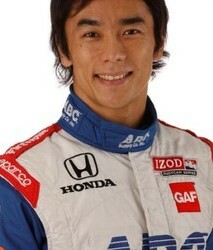 Takuma Sato, 36, was a gifted bicycle racer in his teens but always aspired toward a career in auto racing. He took his first steps toward that goal in 1996 when he bought his first kart. Just over a year later, Sato entered and won Honda’s Suzuka Racing School scholarship. While the top prize was a season of racing in the Japanese Formula 3 Championship, Sato had his eyes set on a broader goal and instead traveled to Europe where he raced firstly in Formula Vauxhall Junior and then Formula Opel. In his first full season of racing, in 1999, Sato finished sixth in the competitive EFDA Formula Opel Euroseries. He also entered the final few rounds of the prestigious British Formula 3 Championship and won the Asian F2000 support race at the Macau Grand Prix. After winning four British F3 races in 2000, Sato dominated the 2001 title-chase with 12 wins and added victories in the Masters of F3 at Zandvoort in Holland and the Macau Grand Prix. His magnificent run of success earned him an opportunity to graduate into F1 with the Honda-powered Jordan team with which he earned his first F1 championship points, appropriately, at the Japanese Grand Prix where he finished a rousing fifth. He was appointed third driver for the factory backed BAR-Honda team in 2005 and was promoted to the race team for the traditional season finale at Suzuka, Japan, where he again recorded a top-six finish. Sato’s (and BAR’s) best F1 season was in 2004 when he claimed his first podium finish in the United States Grand Prix at Indianapolis and added seven more top-six finishes. He joined the IZOD IndyCar Series in 2010 and came close to winning the Indianapolis 500 in 2012 before crashing out while attempting to take the lead on the final lap. He scored his first IndyCar victory at Long Beach in April 2013. Takuma Sato answers your questions! Hello Takuma. First, thank you for accepting my question in Japanese. I have been driving in Formula SAE. In this category there is an event called Acceleration, which competes 0-75 meters in straight line. I am struggling with how to start well and timing of gear change. First, how do you control throttle and clutch off the line when starting signal goes off? For example, immediately after the start, tires’ grip to the surface is low and it is difficult to accelerate up to speed. How do you manage it? In addition, why do F1 cars not have wheel-spin at the start? Is it to save the tires? Next, regarding gear change, my current racing car has a manual shift. When you accelerate on the straight, at what timing do you change gear? For example, do you upshift near the maximum torque of the engine, or do you change slightly before hitting the maximum torque? Definitely less wheel-spin is quicker. Sometimes a little slip puts some temperature into your tires and you get better grip, depending on the characteristics, but generally minimizing the wheel-spin is the way to go. However, if the clock starts as the lights go out, dump the clutch – even if you get some wheel-spin is perhaps not a bad idea. If you try to engage the clutch cleverly and conservatively to control wheel-spin, this can make a delayed reaction and in the end it could result in a slow start… Anyway, even if you dump the clutch, try to find a way to minimize the wheel-spin. In F1, there are some tricks. They have a double-paddle clutch system where you can release one side as soon as the lights go out, so there’s no delay for reaction, but the other clutch paddle is waiting at the optimal half-engaged position. Also there are special engine and throttle maps for the start, so that’s what makes it possible to make a nearly perfect start with almost no wheel-spin. Next, timing for the upshift – unless the engine power starts surging too much at very top end, you should upshift at the maximum revs. After the upshift, next gear should drop near the maximum engine torque, which is ideal. Do you have a non-synchronized gearbox? If so then you won’t need the clutch for the upshift. Just a very quick lift of throttle should allow you to upshift… Good luck! It is always amazing to look at the steering wheel of a modern Formula 1 car – there are so many controls and knobs. How difficult it is to memorize the functions of each one? Is it a lot easier in an IndyCar? What adjustments can you make at the wheel of your AJ Foyt car? It’s not too difficult to memorize but in my F1 days the controls were quite complicated. Differential control was one of them. It can change the characteristics three-dimensionally – how late and hard it supports under braking, mid-corner preload, and how quickly and strongly support on power. Traction control and over-run control (engine braking with some advance firing for anti-locking under heavy braking) were similar. You could pre-map a few characteristics and install to one knob – that depends on driver preference – but I liked to control all the details myself, which needed a lot of knobs! IndyCar is a lot simpler from that point of view. Basically, there are two knobs for engine mapping and one unique adjustment is weight-jacker for ovals. There is a device fitted onto right-rear damper that can adjust the ride-height – meaning effectively you can control the weight transfer across the wheels. So with the combination of adjustable front and rear anti-roll bars and weight-jacker , which we call “tools,” you can adjust the handling balance significantly. I have heard an expression “to stand on the brakes” in racing context. How do you usually brake when you drive on the public roads? How much level (i.e. percentage) do you initially step on the brakes? Usually it’s maximum braking in racing context but not necessarily “to stand on the brakes” all the time. There are several ways and we sometimes use the brakes very softly to control the speed and make a car stable, especially in fast corners. Precise braking is vital for the good cornering, and for racing you must trail the brakes as well – ease off the pressure after an initial hard hit – so the braking requires a lot of aggressiveness but needs to be very delicate, too. However, the usage of brakes on public roads is very different. Firstly, please drive safely so it’s never needed to use “to stand on the brakes” on the road – except in an emergency. So then, how you use the brake is simply go soft and smooth. You should step on brakes very gently after you come off the throttle and it’s great if the other passenger never notice when you start braking – that’s how softly you should use them. Then try to brake in consistent deceleration until meet your target speed or place. In the final part of braking, it’s also nice to be very smooth so again try to make sure the passenger doesn’t notice when you actually stop. If you can do that without passenger moving, then you could be pretty smart driver! What do you consider to be good driving? This relates to the previous question. A good driver for me is always smooth. In fact, the passengers feel comfortable, they enjoy ride and never feel any fear if you are a good driver. The key is to make sure all the transitions are so smooth that you won’t feel anything… for example, acceleration, turning, braking and stopping are all in the one sequence of beautiful flow. That way you just cut the all waste energy so that it’s not only friendly to passengers but also environment as well – better fuel consumption, longer tire life, efficiently fast and happy passengers 🙂 Also the best drivers always are looking for others, meaning they are always prepared for something to happen, so there is less chance of accident, and never move aggressively so it won’t make other drivers panic or take them by surprise. Meaningless fast driver is just reckless. Smooth is the best. How much do you have to manage your tires in an IndyCar? Is it the same as F1? What techniques do you use to keep the tires working well during a long race? I think it’s similar but it really depends on how much degradation you will have. Generally the tires provided in IndyCar from Firestone show a great performance in terms of durability but sometimes we see a big challenge for it too. We have both soft and hard tires in road/street courses but one spec in the ovals. Soft compounds tends to wear quicker, naturally, so you have to manage it more carefully than hard tires – that is the same as in F1. To get the best performance from the tires is always great challenge. This would be affected massively by the setup and balance of the car. Neither too much understeer nor oversteer works in favor for the durability so the driver has to carefully manage any sliding. Minimize the slide would be the best way to keep them working, and often slightly lower tire pressures work well for both grip and better drop-off – but you will get unsupported feeling and worse grip before tires come right on to the proper temperature and pressure. When I talk about temperature, I mean not on tread because that makes less grip and you will get this by sliding the tires; you need a good temperature in core – that generates good grip. So it’s interesting because you need to adapt your driving style and technique. It’s important to understand the physics and engineering side too. There are many programs these days promoting safe driving on the road but you still often see people talking on their cell phones – or worse – while they are driving. What do you think can be done to improve this and how important do you think it is that racing drivers should be leading the way on this? Couldn’t agree more. Racing drivers should be the model driver on the road and it is important that we lead the way on this. I don’t know what we can do right now other than keep making a voice for it… It just will be too late if something happened so we must not have too much confidence in our ability. Also I hope we have some new generation system in the near future that makes it possible for a mobile phone to enable a “driving mode” automatically – so it will not work if the device is closer than, say, 30 inches, to the steering wheel…. What did you enjoy THE MOST in your races? Winning!! I really enjoy those special moments with everyone who cheers me on. Thank you for your all-time support – that gives me the motivation to go racing hard!! How do you keep your health at the optimum condition for the highest performance. Do you take specific supplements or food? Train well, eat well and sleep well! The daily body maintenance is very important, so having a good quality for these makes me very healthy. I see my physio regularly and have a great support team around me, so that really raises me to the optimum condition and makes sure I can give the highest performance for the race weekend. Supplements-wise, I take some glutamic acid. Which do you feel has the strongest junior formula car scene: North America, Europe or Asia? 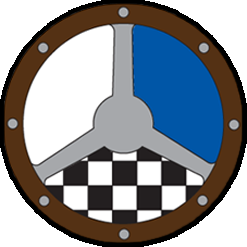 Historically, Europe has a fruitful structure for junior formula categories but if you are talking about which one is the strongest then you have to look at them all closely from time to time. I only know the system in Europe in my days but it was very competitive there as it had Formula Vauxhall, Formula Ford, Formula Renault, and Formula 3, etc. F3 was mega! It was before integration to Euro F3 so we had British F3, German F3, French F3, Italian F3, Japanese F3 and so on and they were all ultra competitive. Then all top contenders go to Masters F3 and Macau F3 from most of series so it was just great, I loved that. I’ve read that you didn’t start racing until a late age. I am the same. What was your mindset when you went to racing school with no experience? I plan to go to a racing school but I don’t know where to start or how much money I will be spending. Are there any aspects of driving in Formula 1 that you would say have helped your IndyCar career? Have you ever used a driver coach and do you think it is a good idea for a young driver to employ someone in this way? The problem is that it can be very expensive! Yes I have. The first was at Suzuka Racing School, and after that I was lucky to meet some great driver coaches in UK times who are all good friends so I did not precisely employ them but I had great experience with them. And of course when I came to States, Jimmy Vasser, who was my team boss, became my coach for ovals! I don’t think you want to have a driver coach all the time because you have to find the way of how to drive by yourself, otherwise it’s impossible to go find an absolute limit, but I think it’s good to have some professional advice especially in early stage of career. It can be expensive but to find all the techniques by yourself could be even more expensive because you need a lot of time. A racing school worked great for me and it was only way that I could start racing because of my scholarship. Did you ever plan to race in America or did time just take its own course? I didn’t plan to race in America initially but I was always interested in the race here as I’ve known Indy 500 before I saw F1. Did you speak English when you first went to race cars in England? How important is it to be able to speak English? I could read and write a little bit from school but no, I didn’t know much English and my speaking was just useless! So I went to the language school everyday, lived with an English host family as my home and spent a lot of time with my team. That’s how I got to learn English and by that time it’s not like studying at school – it was a life and it was must-have for me to survive and very much needed for what I wanted to do. I felt strongly that I needed to have English skill before going up to British Formula 3, because that’s where a lot of media attention starts. It is broadcasted on TV and there are many Formula 1 people watching what F3 boys do at that time; and most importantly you need to communicate with your team and engineer to perform well, so it was vital to be able to speak English so at least you can express what you want to say. I think it is extremely important to speak English if you want to be successful internationally. What would you say is the best route to take into entry level motorsport? I would say karting. It’s a very basic yet ultra competitive, amazing little machine. You could learn so much about how to drive fast because it’s so straightforward. There are no suspensions or any other complications so it’s just purely try to make a most of performance for all four tires which is the same for any type of racing car. Plus, cost efficient and you don’t need a huge facility so it’s great way to make an entry for motorsport. Did you have any technical knowledge about race cars when you started? If not, how much of a problem was that and what did you do to improve your understanding of how the cars work? I did have some of it as I was always interested in technical side since I was a boy but not really professionally – I just read some books, that level. There are differences among individuals for styles but I believe technical knowledge will only help you; much better than not know any of it. I think most drivers have good technical knowledge, especially when you move up to the higher categories. Track time is always limited so technical knowledge will be useful to help you to solve the problem or make progress. Driver is very important part of engineering as you are the one to drive it and knowing what the car is doing. I am not saying you have to know everything or actually engineer the car yourself, but it’s important to feel the car and be able to tell engineer that feeling precisely so the engineer can translate your ‘feeling’ to some ‘numbers’ and make the car fast. You will learn as you go through some setup process if you understand technically what was change and how it made the car work differently. It’s fun, too! What was the biggest challenge you faced when you first started racing in the IZOD IndyCar Series? Did you find it difficult to adapt to the ovals? There are certainly quite a few things that I had to adapt to – like no tire-warmers, car weight, rolling starts, etc. But yes, ovals are probably the biggest challenge. I immediately liked and enjoyed the oval racing though. So I thought I could adapt to it straight away but things that you have to lean in ovals are enormous. Much more than what most people think really. They are so deep and complicated. The way the car is set up is very interesting and very detailed. Where you position the car and how you set it up for overtaking and the lines you take depend on car balance or how many cars you have in front and all sort of things. You have to use the tools (both front and rear anti-rollbars and weight-jacker) constantly and consistently as well so it’s quite busy and different from road/street courses. I am still leaning a lot about ovals even today and I love it. You always seem to have a good “chemistry” in your teams. How do you achieve that and what are the most important things in developing good relationships with your crew? I think it just comes down to respect. I can only drive fast when the boys have done a good job, and without trust how can I possibly drive at 220mph? When I drive the car, I drive it with 100 percent commitment. Sometimes you have an “Oh sh**t!” situation but if you take your job seriously and try to do the best then the boys love you. I’ve seen it so many times and I only can live that way anyway. Perhaps I am lucky as I always land at a happy place with great people around me, but I just love racing with them and going flat out! Hi Takuma, thanks for answering questions. What is your favorite track that you’ve driven so far, and why? There are quite few of them actually. Suzuka is stunning as a road course. It has just a fantastic layout and is so challenging. Very fast, fabulous sequence of Ess-bends and high complex corners. Great balance. Spa is similar way and I love the great elevation change. Macau is crazy but is just another fantastic one as a street course. Just so hectic on the mountain side but you can’t stop smiling! Long Beach is very special place for me as I achieved my first win in INDYCAR. Monaco is my favorite too; that’s where I live so I know the roads for daily use as it’s 30 mph and quite a funny feeling when you go over 170mph! There are many superb tracks over the world that I haven’t driven yet but hopefully I will have some opportunities in the future. What different driving techniques are needed to win on a street circuit in an open-wheel car, as opposed to road courses? Thank you for your time. There is not so much difference in terms of driving techniques. However, car setup could be quite a bit different as it requires more focus on the mechanical grip on street courses but more emphasis on aerodynamics at road courses. One of the biggest difference is there is no margin for an error at street courses because often you will just go straight into a wall if you make a mistake, whereas on a road course you might just drop a wheel onto the curb or the grass. Also most of corners on street circuits are blind, because of the walls, so you need to commit entering the corner before you could actually see where you’re going. That can be quite difficult. How do you find the correct balance of caution and aggression in your races? That’s one of the things that’s much easier to judge with the benefit of hindsight! Definitely, experience helps a lot for this kind of risk-management. Drivers are always looking for the best result – I mean, that’s name of the game – but we have to remember that we cannot drive faster than what car will go… You should only try to go for it when you are sure that you have a great chance of getting the job done; you shouldn’t go for the pass unless you are sure you can make it or if you would have to rely on someone else to leave you room. I have a son in karting. I saw on your resume that you only raced in karts for one year. Do you wish you had spent more time in karting or how long would you recommend someone to stay in karts before switching to cars? I wish I could have started racing in karts when I was a kid! I would have loved it for sure so it’s great to hear your son is in karting already. I don’t have a clear answer for how long to recommend, but go ahead and get as much experience as possible in karting because he will always learn something. If he has a good opportunity to switch to cars at the right place and the right time then there is no reason to wait. However, this might be an inappropriate answer for this subject, but I still think the most important thing would be how motivated he is. It has to come from his heart that he wants to do it. There is no point if he thinks he is being forced into it or he is doing it for someone else. I am not suggesting this might be the case for your son but I am just mentioning it in general. After you won the Honda Suzuka Racing School Scholarship, why did you choose to go to Europe instead of racing Formula 3 in Japan? My dream was to become Formula 1 driver. Racing in Europe, particularly in England, had been always my ambition, because of Ayrton Senna. I needed to lean English as I had no English and as well as that gain my racing experience from a basic level in an international environment; I wanted to go to Europe sooner or later since I started motor racing. I had been given such a great opportunity to race in Japan first, so I really appreciate all the support and great experience in Suzuka Racing School and Japanese F3. I was lucky to be there and have to thank everyone who made it possible for me to go to the UK in early part of my racing career. I am a great fan of yours. What were the keys to your success when you won the Macau Grand Prix? I love Macau! It’s truly unique and totally outstanding. Keys to success there? Hmm… The first one should be a good preparation before the event. I went to a special test before Macau at the tiny Pembrey circuit in Wales and brought the Yokohama tires which were being used in German F3 championship at that time. The tire specifications were different for Macau but the characteristics were similar so we learned the direction we needed to go. Then at Macau, you just need to drive fast! Building confidence was another thing. There are a lot of unsighted, blind corners and most of them are high-speed with great elevation change which are all very exciting – but you need a real commitment. It’s incredibly bumpy as well but once you get a good rhythm, it feels so fast and so cool. It’s really fascinating. I had a great environment with tremendous support from the team. It was so special. What are some of the most important things for a young driver to focus on? Track time is always extremely important so I would say focus on every single lap – including out-laps and in-laps – so you develop a feel for the car; and try to lean something every time you leave the pit lane. Never waste a moment while you are in the cockpit. Also, don’t be afraid to make a mistake while you are trying or pushing hard. You can learn from a mistake and without that there is never success.